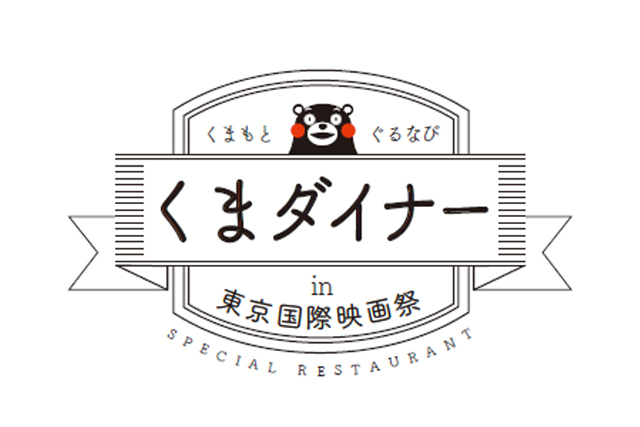 29th Tokyo International Film Festival | Kuma Diner opens in Roppongi Hills Arena! We will deliver the high-spirited Kumamoto! The 29th Tokyo International Film Festival will be held from 10/25 (Tue) to 11/3 (Thu/Holiday). The disaster-affected area Kumamoto will deliver the high-spirited Kumamoto to Tokyo during 10/26 (Wed) thru 10/30 (Sun) . The top chef will present the original food corner with the use of local ingredients. On 10/27 the [Kumamoto Cinema Project] “The Gift of Memory” directed by Isao Yukisada, whose birth place is Kumamoto, will be screened at the film festival in an effort to revitalize Kumamoto. Director Yukisada and the cast members of Kang Sang-jung, Ryotaro Yonemura and Kumamto PR character Kumamon will rush to the scene! Through [Food] and [Cinema], we will sell the original cinema cocktail named [The Gift of Memory] presented by Kumamoto’s Takahashi sake brewery who are well known for their rice shōchū. In addition, [Tokyo International Film Festival Open-Air Cinema Arena] which is the free of charge open-air screening event will be held at Roppongi Arena during the same period. Enjoy the lovely space of cinema and food with the giant screen and Kumamoto rice shōchū (Takahashi sake brewery),wine and craft beer in your hands.